There's surprisingly little to Batwoman #1 - at least compared to the Detective Comics two-parter from last month which set-up this series. With the exception of the last few pages, this entire comic is devoted to retelling Kate Kane's life story and how she became Batwoman. Thankfully Marguerite Bennett and James Tynion IV weave an engaging origin story that will hold the interest of those already familiar with Kate's history while enrapturing those discovering her for the first time. The artwork matches the script in quality and tone. Steve Epting - most famous for his work with Ed Brubaker on Captain America - provides the perfect sense of gravitas necessary in depicting the highs and lows of Kate's life. Colorist Jeromy Cox finishes each page perfectly, with a red and black motif prevalent through the book for obvious reasons. 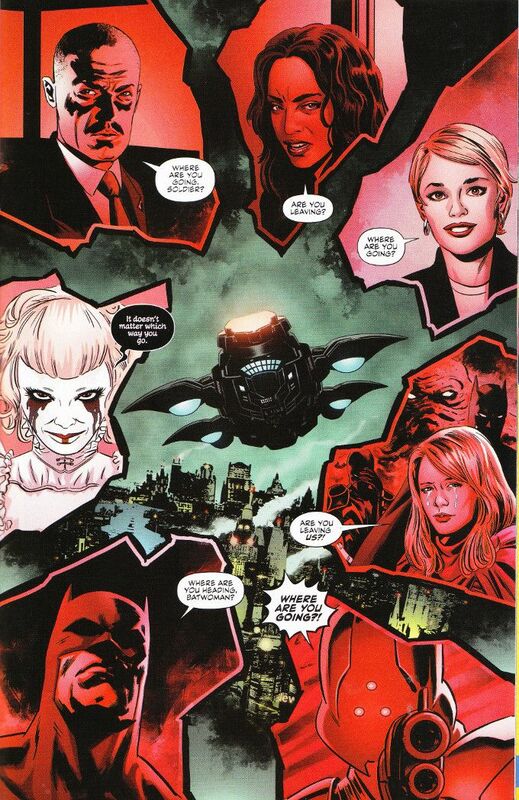 All in all this is one fantastic book that is sure to be a hit with Batwoman fans everywhere.